Was born in 1864 at Birkenhead, and educated at Hereford College. He entered his father’s business at the age of sixteen. In 1884 he went abroad, visiting Egypt, South America, China, Africa, and eventually settling in Sydney, Australia, where he did a good deal of yachting. In 1894 he returned to this country and commenced a shipping agency in Liverpool. Mr. Smith has been an active yachtsman for the last fifteen years. In this country he first owned the Daphne, 6-ton cutter, followed by the Panto, 10 tons, better known as the Rival, the Pixie and Leonore, 12 tons. He now owns the Capella, 10 tons, and a boat in the Seabird, Seashell, Cariad, and Gael one-design class. He is very fond of cruising, and has done a large amount in the Irish Channel and in Highland waters. 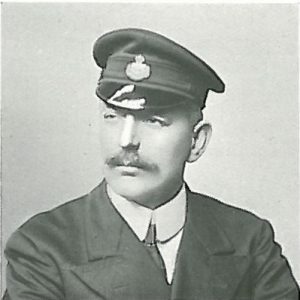 He is Rear-Commodore of the Liverpool Bay Yacht Club. 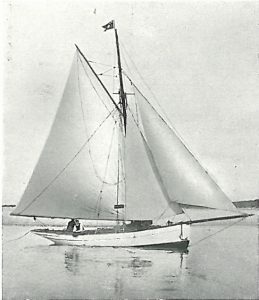 Capella, Cutter, 8 tons. Mr. Charles Smith. Clubs: Royal Welsh, British Motor Boat, West Lancashire, Hoylake Sailing. Residence: 40, Radnor Drive, Liscard, Cheshire.